He says that the marketing of forex trading as a way to get rich quickly is misleading. Foreign exchange as an asset class is important because it is the most liquid and largest market, and is how money is transferred around the world. The concept of forex trading as an investment strategy within itself has to do with the ability to gear one’s position to become one where a small movement in the currency can result in a large gain. Say, for example, you have R10 000 and want to take a position that the rand will depreciate against the dollar. The exchange rate is R13.50 for $1, so your R10 000 buys $740.74. If the rand falls to R14 to the dollar, your $740.74 will buy you R10 370. On a one-to-one basis, if you bought the actual currency, that would give you a profit of R370, but, with gearing, you buy exposure to the movement of the currency, not the actual currency. As you are only buying exposure to the currency, the broker can offer you a leveraged position where, for example, your R10 000 gives you R100 000 worth of exposure. In this example, your rand exposure increases from R100 000 to R103 700m so your profit is R3 700. You only physically invested R10 000, so that equates to a 37% return. If the rand strengthened to R13, your loss on R10 000 is R3 700 – more than a third of the value of your initial outlay. If the rand suddenly strengthens to R12.50, you can wipe out nearly 80% of your entire investment. In this scenario, the gearing was 10 times the amount, but the higher the gearing, the easier it is to lose money. In the recent Standard Bank Webtrader currency trading competition, winner Ricky Jacobsohn turned $100 000 into more than $1.3 million in just 30 days. This is the type of headline that has given forex trading its mythical status as an opportunity to get rich. But if you read the details, 20% of the 1 300 investors lost more than 20% of their virtual investment, and only 5% made a 50% profit. The likelihood is that even those within the 5% would have seen their luck change if they continued to trade. Jacobsohn acknowledged that, if he had been investing his own money, he would not have taken the gearing and risk that he did during the simulated trade. Any real trader will tell you that spending a weekend learning the “secrets of trading” will not make you a trader, only experience will. As Simon Brown of online financial education site justonelap.com explains, forex trading is more or less a zero-sum game – for a trader to make money, somebody needs to lose. “It’s the most liquid market in the world and the best traders in the world gravitate to forex, so you need to beat the best. This will take time,” he says. Duncan compares forex trading with learning to drive a car – if you try to drive a car after only reading the learner’s licence manual, you are going to have an accident. Duncan warns that, in these types of weekend courses, which can charge participants anywhere from R10 000 to R20 000, “instructors” use hindsight to convince people of how easy it is to make money. Duncan adds that many of these courses or online forex platforms convince you that they have algorithms or trading systems that can beat the market. The reality is that they are trading aggressively and closing positions daily, which just adds to the cost of trading. “If there is a minimum trade fee of $10, that will add up every time you close or open a position. People say they have made a trading profit, but when you look at the costs, they usually haven’t,” says Duncan. So, basically, a platform that encourages a high trading strategy is there to make money out of you. Duncan says people also don’t understand the costs of carry, which is the interest rate you effectively pay for holding a position. He explains that, if you take a position that the dollar will strengthen against the rand and you are paying a 10% interest rate, the rand must depreciate by more than 10% to make a profit. There are many companies that claim to be able to guarantee returns from forex trading. They usually claim they have an algorithm or robot that allows them to do this. The recent arrest of the founder of forex trading company Profit Trading illustrates how spurious these claims are, and that these companies are usually fronts for elaborate Ponzi schemes. In the case of Profit Trading, an investigation by the Financial Services Board found that not one trade had been placed. Duncan says that markets are highly efficient and even if someone has developed an algorithm, by the time it is widely marketed, the market will have discovered it and be trading against it. “Not even a bank with access to information and research consistently makes money out of trading currency. For someone to pretend they have developed a system that consistently produces profit is impossible. "If they had, they wouldn’t be trying to sell courses and software to people – they would be too busy making billions,” says Mabiletsa. The very nature of trading is that you win some and lose some, so a claim that a fund can deliver a constant monthly return is false and a warning sign that it is a scam. 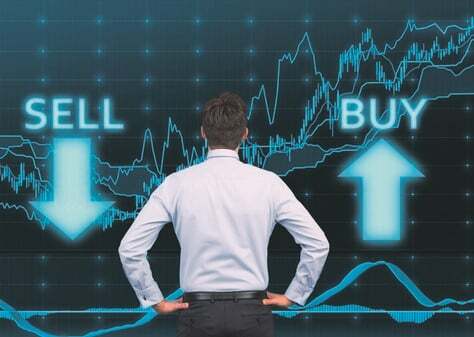 Get used to trading without gearing: Duncan believes that a new trader should start with geared forex – they need to first get used to trading on a non-geared basis. “Go buy a forex exchange-traded funds and get used to it. Even add some shares and learn about trading before you have a go at forex,” says Duncan. You could also invest in exchange-traded funds that invest in international indices through CoreShares. Trade virtual money first: If you insist on taking a short cut and go for geared forex trading, at least start with simulated trading. However, only do this on a trusted platform because there are many scams on platforms that falsify your trades and make you think you are making, thereby luring you into committing real funds. Only use credible platforms: There are several credible platforms in South Africa where you can trade forex, including Standard Bank’s Webtrader, Sanlam iTrade and PSG online. All of them use the Saxo Bank trading platform, but offer different interfaces and educational tools that can include online tutorials. Global Trader and IG.com also offer forex trading. Global Trader is owned by the JSE-listed Purple Capital Group and IG is a UK-listed company with offices in about 15 countries, including South Africa. The benefit of trading through stockbroker platforms is that you also have access to international shares and exchange-traded funds. You can build up a more holistic portfolio than just forex trading if you wish to. Educate yourself: “Making money from forex trading, indeed even making a living from forex trading, certainly is possible, but the idea of it being easy and quick is not true,” says Simon Brown. He says that, like any skill, it takes time to learn the techniques and strategies. “One also has to learn risk management and then the hardest part is managing the psychology – the wild emotions of fear and greed. "Expect this learning curve to be measured in years,” says Brown, who recommends reading Trading in the Zone by Mark Douglas and Reminiscences of a Stock Operator by Edwin Lefevre.